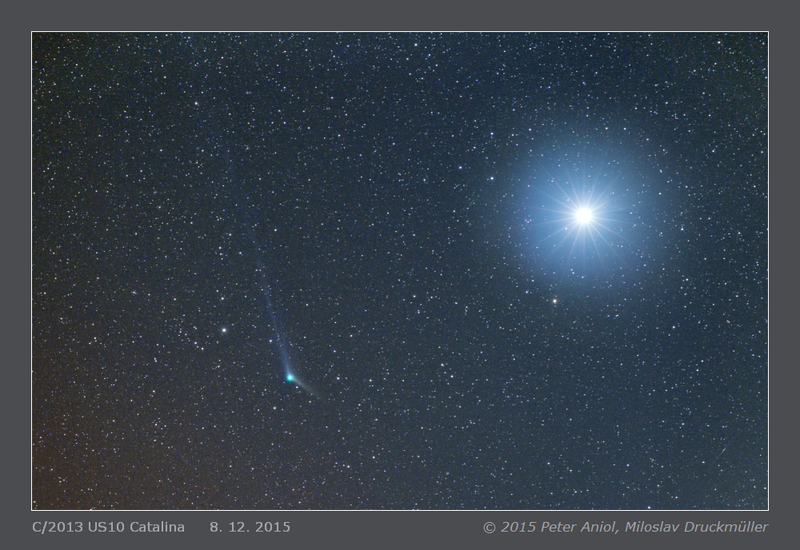 This image shows the comet C/2013 USD10 Catalina near the Venus and not far from the Moon (see the higher resolution image version) during the daybreak. 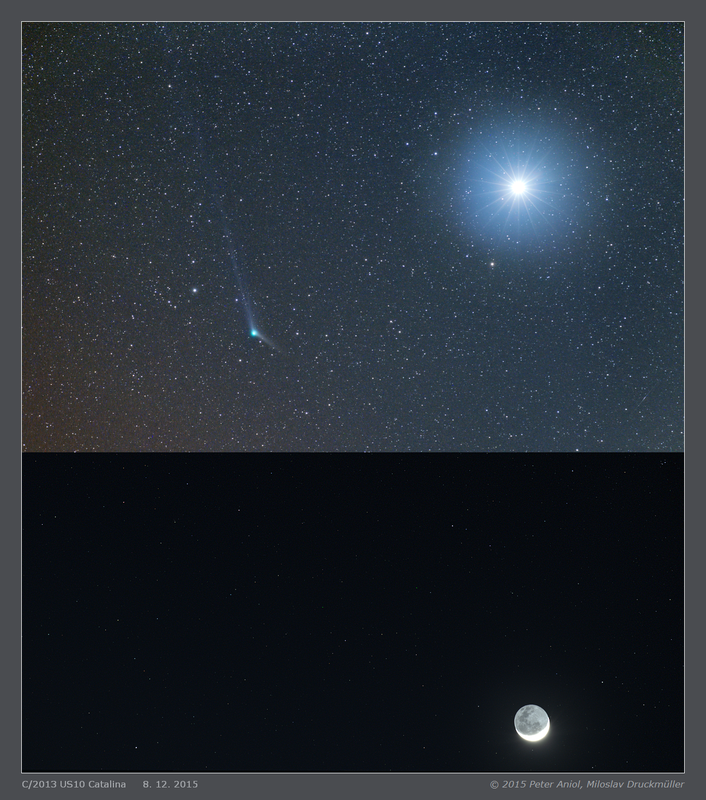 The image of the Moon is aligned with the image of the comet. Click on the image or on the following reference to display the higher resolution image version (2.9 MB, PNG format).